It was another wonderful day to be me! 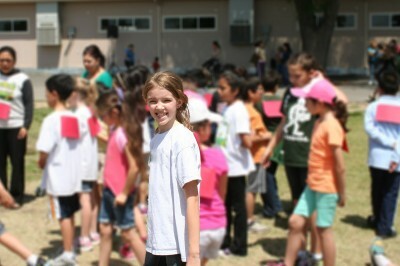 Last Friday was the annual Jog-a-thon at Amara’s school. I really didn’t think it was possible to have more fun this year than I had last year! But I really did! Last year I had gone with the expectation of just watching and ended up helping out. This year I had volunteered to work! The Jog-a-thon is the PTA’s biggest fundraiser of the year. The students had all gotten friends and family members to make either a flat contribution or a contribution per mile. The students had great incentives to raise money. If they raised $25, they automatically got a t-shirt and if they raised $150, they got an entry in the raffle to win a Kindle Fire! There were other raffles for raising other amounts inbetween, too. Amara has her fingers crossed that she raised enough to win a chance at that Kindle! My day started early! Justin took the day off from work to spend it helping and he and Jenna needed to meet the rest of the PTA team on the field at 7 AM. I promised to be there by 6:30 so that they could get the car loaded and ready. Jenna the Awesome had even made donuts to take with her for the volunteers. I would take care of getting Amara to school at 8. This meant they could avoid having to get her up and ready early. Just being there getting her ready was fun for me. I got to see her caterpillars that have just become chrysalis. While she makes her own lunch now she needed me to get the bread down off the top of the refrigerator. I even got to sign her homework! I love being her Grandma. I took her to school and then headed home to shower and get ready for my part in the big day! At 11 o’clock, I had to pick up the 12 pizzas for the volunteers and deliver them to “the command center”. 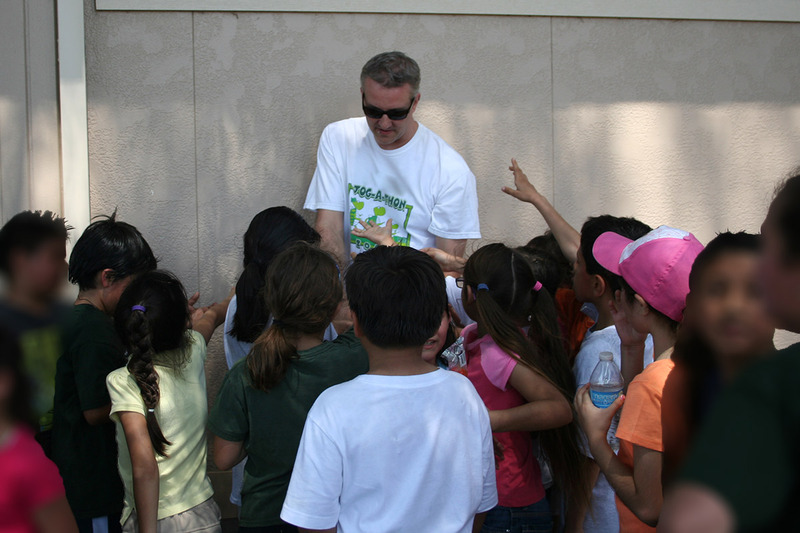 From there I was working the next group, the 4thgraders! These were kids that I knew from skate nights and other events. They were a fun group. Each race began with my awesome daughter explaining all the rules to them. The laps were run to music belting from the PA system, music the kids knew and liked. It was fun to watch the students and to see how many parents had come to cheer them on. I think all of the teachers either jogged or walked with their students. They ran the groups by grades. Everyone had lap cards pinned to their backs and each classroom was a different color. They walked/ran/jogged for 30 minutes and were treated to Popsicles in the shade when they were finished. It gave them a chance to cool off before they went back to class. For my first group I was in charge of a squirt bottle! You know how I can be with the hose so imagine me with a squirt bottle! It was my job to spray mist them as they ran/jogged/walked by me. It was so much fun to be part of the energy. Most of the students loved the feel of the mist as they ran by. Others, mostly boys would come up to me grinning and begging to be squirted. Can you sense how much fun I had? I should also add that they had a huge water station set up on the track so the students had access to lots of water both to drink and to pour on their heads — which many of them did. The next group was the 3rd graders! For this group I was one of the lap markers for the red group – Amara’s class! It was just so much fun to stand in the field on this perfect, sunny and breezy 75° day cheering them on and marking off their laps. My face hurt from smiling! 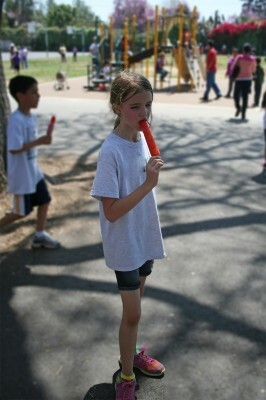 When they were done – they stampeded Mr. Justin and his Popsicles. Me and squirt bottle did one more group before I called it a day — the 2nd graders. I knew many of these faces from as far back as pre-school. They were full of smiles and enthusiasm and were the perfect end to a perfect day! This memory was posted in Outdoors Fun, Volunteering and tagged Amara, Jog-a-thon, school, volunteer on April 17, 2013 by Grandma Kc. WHAT FUN! Everything about this event is great – the family participation, the exercise that everybody can do, the fundraising for a good cause….only wish that I had known in advance so I could have sent a check to help Amara reach her goal for the raffle. Will you let me know next year for sure? I bet those kids love the grandma with the squirt bottle as much as you love squirting them. This made me smile the whole way through. You did an excellent job of sharing the excitement. It’s so wonderful watching the kids grow. My youngest is still friends with those she knew in kindergarten. More than 20 years of watching all those youngsters grow into fine adults. Now that was a fun day! I’m sure having plenty of volunteers made the event go smoothly for the staff and allowed all of the kids to have an absolutely wonderful day. It sounds like the perfect day to be an active grandma. I used to love those kinds of days when I worked in the schools. That is awesome! 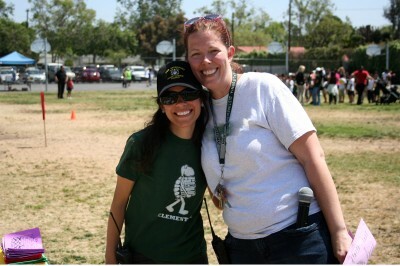 Our school does a walkathon through the neighborhood and I love volunteering for it. So great that you got a chance to help at Amara’s school – I am positive everyone was grateful for your help! I know you had a great time. The energy from kids is so fantastic. Both you and Amara are lucky to be able to share these kinds of memories. Sounds like a great program for the kids! Glad they all had fun getting those ‘red’ cheeks! Oh my, I’m going to ask that “The Squirter” job be started at our Field Day and I’ll sign up. Such fun.